Blake joined the Talquin Electric Cooperative team in 2016 as Director of Member Services. 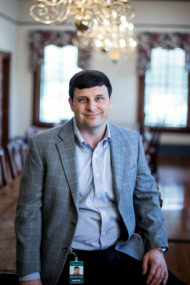 Prior to joining the cooperative, Blake spent over 10 years at Georgia Power Company working in various departments including Land Acquisition, Procurement, Financial Management, Region Supply Chain Operations, and Sales. Most recently, he served as a Key Account Manager. Prior to that position, he served as a Supply Chain Operations Supervisor. Blake received his Bachelor of Business Administration in Finance and Master of Business Administration Degrees from Georgia Southern University. In his spare time, Blake enjoys golfing and spending time with his wife, Jennifer and their two sons.